Did you know that Los Gatos schools receive less per student from the state and federal government than other, similar districts? Donations from parents, community members and businesses to Los Gatos Education Foundation helps "fill the gap" by raising funds that help our schools educate the whole child. ​to help your child's school? is growing...and we want YOU. Thank you, UBS, for your generous support! Also, congratulations to all students and teachers for the outstanding music performances this winter! We look forward to the next round of concerts next spring. 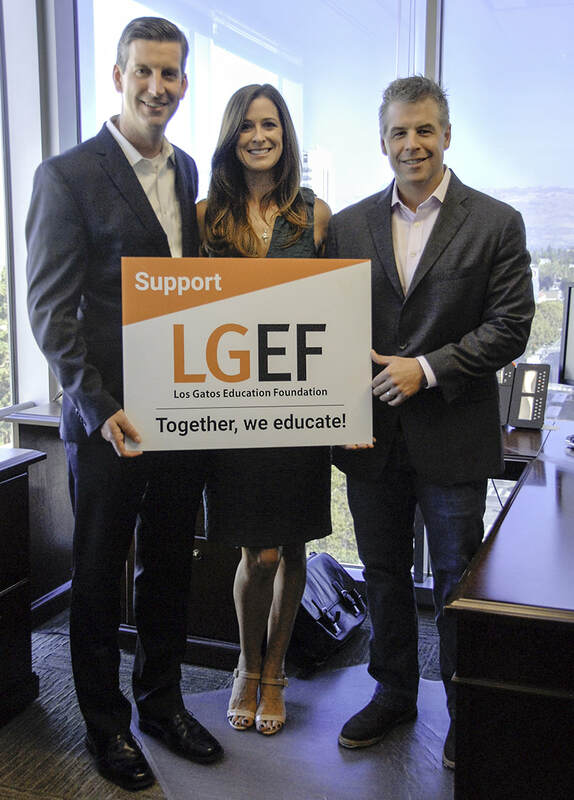 Eric Weider (left) and Andrew Ferguson (right) of UBS with LGEF's Alexis Barnickel (center). ​Location: UBS office in downtown San Jose. Become an LGEF business partner! Promote your business and support your community. Learn more.